community figures who have made their mark on Columbus in some way and learn about what they do on a regular basis to stay healthy. Healthy New Albany Magazine had a chance to talk with Sen. John Glenn and get his opinions on living well at any age. Healthy New Albany Magazine: To what in your lifestyle do you attribute your longevity? What advice would you give to others to enhance lifelong well-being and quality of life? Sen. John Glenn: Best thing I can advise for longevity is to pick good parents! I think the genes you inherit probably have more to do with longevity than anything else. Beyond that, keeping a healthy lifestyle with exercise on a daily basis probably does more than anything else to foster longevity. HNA: Are there any foods that you avoid or emphasize? JG: I try to keep a broad-based diet and keep my weight under control. HNA: What are your favorite ways to stay active? JG: We naturally want to sit around with too much inactivity. Best advice is to just get going and do it! HNA: How did you stay healthy in space? JG: On both space flights I was on, the food was very carefully selected for a balanced diet, and regular exercise periods on a space version of the exercise bicycle were scheduled every day in space. HNA: What do you like to do to relax? JG: I like to relax by listening to recorded books and watching some of the information and discussion channels on television. Started as a school in 2006, the John Glenn College of Public Affairs gained college status early this year. Dedicated to innovation and service, Glenn College makes its home at Page Hall on The Ohio State University campus. Founded on the principal that a thriving democracy must have informed and involved citizens, the college’s motto is “inspiring citizenship, developing leadership”. The Glenn College is ranked in the top 10 percent of public affairs graduate schools by U.S. News and World Report. 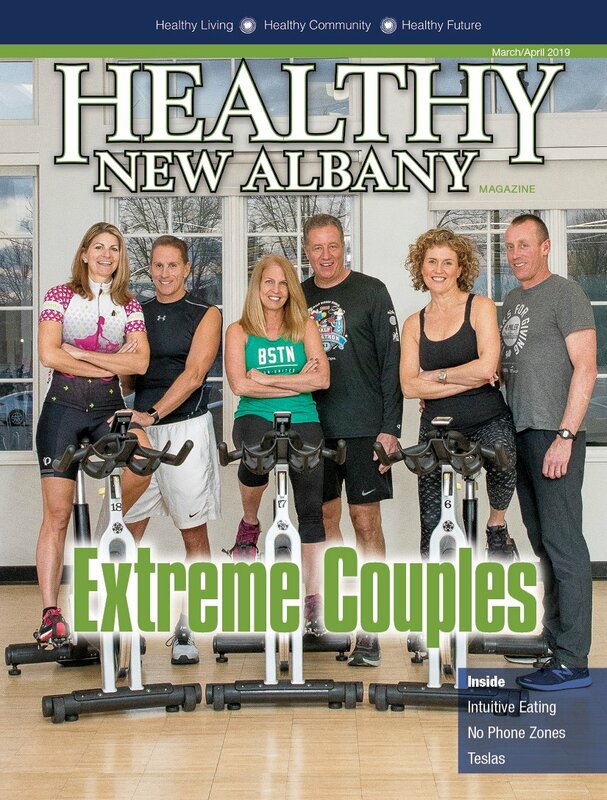 Sarah Sole is editor of Healthy New Albany Magazine. Feedback welcome at ssole@cityscenemediagroup.com.